It is a much talked about fact within the PSM office that we work with the nation’s greatest senior market insurance agents. The successes of our agents are our number one focus and everything we do is conceived and designed to best serve them. With that being said, we could not express our gratitude enough for our agents this Thanksgiving holiday. Just eight short years ago, working with 1,000 agents was a glimmer in our mind’s eye. Today, we're proud to have reached a milestone of working with 15,000 agents and are incredibly thankful for each and every one of them. This Thanksgiving holiday, we want to take a moment to express our extreme gratitude and heartfelt thanks in a big way. PSM was started with one simple goal: to meet the distribution, marketing and administrative needs of independent senior market insurance agents on a national scale so that their businesses could continue to flourish. Through our upcoming expansion with the addition of five new Marketing Directors and two Administrative Assistants, that goal has not changed. With every product improvement, new product release and every offering in between, we have been and continue to be laser-focused on making sure that the tools we provide our agents with will ultimately help them grow their businesses. We're ecstatic for the upcoming 2016 year, with the growth of our business, and know that we could not have done it without our ever-growing PSM community. We are truly grateful for all our incredible agents, marketing agency partners, employees and fans. 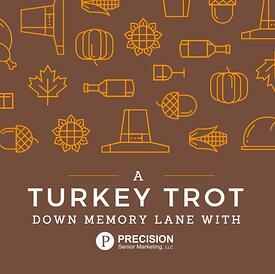 We wish that this Thanksgiving holiday finds you with plenty of reasons to give thanks. As we celebrate our gratitude, we look forward to adding 15,000 more agents to the PSM community and leave you with one final, heartfelt thought: THANK YOU FOR BEING YOU AND FOR CHOOSING PSM! 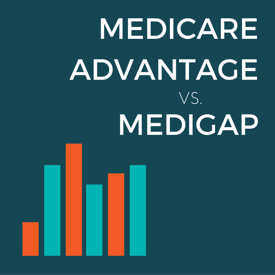 Over the past few years, the markets for both Medicare Advantage and Medigap have continued to skyrocket in growth with respect to enrollment rates, plan options and beneficiary satisfaction. Thus, it is imperative, more now than ever, for senior market insurance agents to have a diversified portfolio to accommodate the demands of both respective client bases. As we prepare to break into a new year, Precision Senior Marketing has crafted this handy infographic to demonstrate trends and changes within those markets so that senior market insurance agents may create an efficient game plan for 2016. Take a peep below for some further insight! On Tuesday, the Centers for Medicare & Medicaid Services (CMS) announced the 2016 premiums and deductibles for the Medicare inpatient hospital (Part A) and physician and outpatient hospital services (Part B) programs. Lucky for you, Precision Senior Marketing has taken the time to put together the following infographic summarizing what your senior clients can expect in result from the adjustments made via the Bipartisan Budget Act singed into law by President Obama last week. 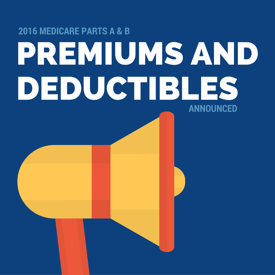 Premiums for Medicare Advantage and MAPD plans already finalized are unaffected by this announcement. Find the original press release from CMS here! To get more information about state-by-state savings, visit the CMS website at: https://www.cms.gov/Newsroom/MediaReleaseDatabase/Fact-sheets/2015-Fact-sheets-items/2015-11-10.html . On Monday, November 2, 2015, President Obama signed into law a two-year budget deal that diverts a spike in Medicare Part B premiums, but conversely wipes out billions in potential future Social Security Disability Insurance (SSDI) program benefits for Baby Boomers. While the Bipartisan Budget Act of 2015 has certainly granted much needed relief to nearly 15 million Medicare beneficiaries by lessening premium and deductible Part B increases, its approval has triggered an undesirable response to upcoming SSDI program changes. Whether or not your clients will be negatively affected by the budget deal all comes down to one very important criterion: While the reforms within the budget deal are projected to save the SSDI program $168 billion over 75 years, seniors who rely upon implementing certain strategies to increase the amount they’ll get from SSDI will ultimately lose if they fail to rethink their retirement plans. So, what are those strategies to disappear in just six short months and how can your clients get through this? Author of A Social Security Owner’s Manual, Jim Blankenship, believes divorced people “will be the big losers” due to the dismissal of the “restricted application” strategy. Under current law this strategy allows you or your spouse to file just for spousal benefits at Full Retirement Age and then let his or her own retirement benefits continue to grow. 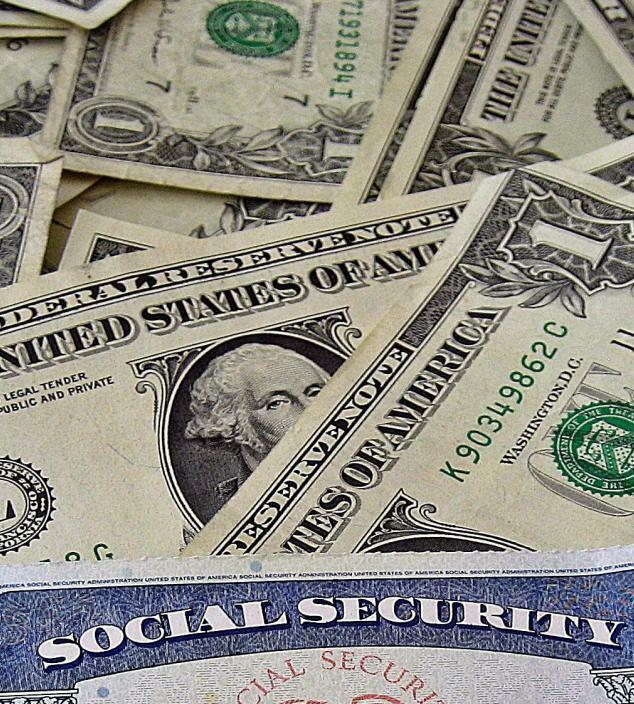 Senior policy analyst Web Phillips of the National Committee to Preserve Social Security and Medicare (NCPSSM) says the end of the lump sum SSDI benefits is another “good deal that goes away” in 2016. Under current law if you are diagnosed with a terminal illness at age 68 you may collect a lump sum SSDI check for the benefits you had suspended over the past two years. Under the new law this would not be the case – you could certainly begin getting retirement checks immediately, but you sure wouldn’t get a check for those back payments. What should senior couples do regarding the change? Take a close look at your potential benefits. Decide whether it makes sense to implement a file and suspend approach. David Leland, a managing director of Merrill Lynch in Beverly, Massachusetts advises seniors to refrain from panicking. In the future spouses will have a choice of the larger of either their own benefit or the spousal benefit when applying for SSDI benefits. Any benefit they choose they “are stuck with”, said Leland.